USDJPY is fluctuating within the horizontal channel. The support rests at 100.280 with resistance at 100.670 which both lines are below the monthly pivot point at 103.160. The EMA of 10 is moving with bullish bias and it is located below the EMA of 100. The RSI is moving on the 50 level, the Stochastic is reaching its maximum amount and the MACD indicator is in negative territory. 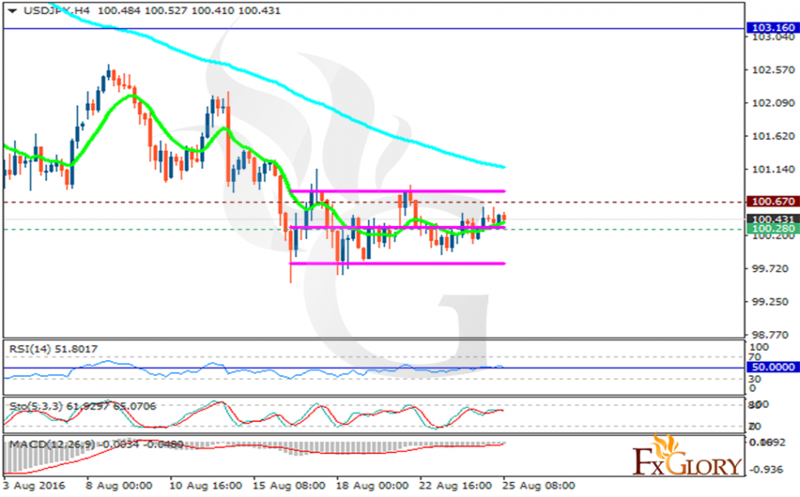 The pair will continue its fluctuation for a while however there is a strong resistance zone around 100.78 level.